The UK beer industry has undergone a dramatic transformation over the past 10 years, and now faces an even more uncertain future. Matthew Curtis shines a light into the darkness. I have a confession to make: I’m scared about the future of our beer industry. After plenty of recent contemplation, it dawned on me that, try as I might, I’ve no idea what the industry will look like in 20 or even 10 years’ time. And so, I’m going to write this in the hope that by the end I can stop worrying and start feeling confident and excited about our vibrant beer culture. Before we go any further, I feel it’s important to explain why I’m so fearful. I’m aware that my demeanor towards beer in the UK is, usually, tremendously positive. I feel there is good reason to be positive. There are more than twice as many breweries in the UK in 2019 than there were 10 years ago – an estimated 2500. This should mean more choices on the bar, more styles than ever to explore and that’s before you take a look at the growing number of international breweries importing their beer into our market. Throughout the past couple of years, we’ve had essential conversations about inclusivity and diversity and how we can open up what is admittedly a pretty closed culture to as many folk as possible. We’re also talking more about quality, not just making better beer, but preserving this through better packaging and cold chain distribution. And beer accounts for around 800,000 jobs (and rising) within the UK; that figure alone should demonstrate this industry’s importance and how healthy it is. But among all the positivity and a steadily growing sense of maturity within the industry, I also see elements of panic and paranoia. These things are common in any industry, but that doesn’t make them any less troubling. For instance, there is significant worry about the influence of big business and how it could consolidate much of the industry while putting a stranglehold on the rest, as happened with the ‘big six’ in 60s and 70s. With all of the acquisitions going on, who’s to say it couldn’t happen again? The industry is also at odds about its taxation system. Some want Her Majesty’s Treasury to ease tax on mid-sized breweries to further stimulate growth, as it did for smaller breweries with the 2002 introduction of Small Brewers Relief (SBR). SBR effectively halved the amount of tax small brewers paid, up to a certain production volume; it’s arguably directly responsible for the voluminous quantity of brewers we have today. But some now see SBR as no longer fit for purpose, while others fear any changes could put hundreds of struggling small brewers out of business. And let’s be honest here: many are struggling. We might not see it within our urban focal points, but out in the rest of the country, things are tough and they’re not getting any easier. And that’s before we get into an even more uncomfortable concern: the quality of the beer itself. Sure, there’s a lot of great beer out there. But there’s also a lot of average beer, faulty beer and downright bad beer. What’s more worrying – and I’m as responsible for this as the next beer writer – is that all too often this is ignored. What if a food critic decided simply not to review a restaurant because it was bad? We wouldn’t stand for it. So why do we in beer? It’s time to have a serious think about what we want our future beer industry to look like and how we talk about it in a productive way. Whenever I can, I choose to support small independent producers and retailers with my money; in no case is this more true than it is with my beer purchases. We’re now blessed with independent beer businesses up and down the country, many of who sell online, making their products accessible almost anywhere. I believe independence is important because supporting independence means supporting people. However, I worry when I see independence used as a virtue over quality. Independent does not automatically mean good. It tells me zilch about the product within the packaging. If we want independence to mean something in beer, then it has to stand for something, and that something needs to be quality. And I believe it should mean something within the beer industry. Here’s a good statistic given to me by Sam McMeekin, founder of South London’s Gipsy Hill Brewery (an independent business itself) that demonstrates why independence is so important: In 2015, almost 100% of the beer being produced in London was independent. The closure of the giant, Budweiser-producing Mortlake brewery saw to that. But then SABMiller (and eventually, Asahi) bought Meantime, and AB-InBev bought Camden. London Fields was acquired by Carlsberg while Heineken took large minority stakes in Beavertown and Brixton. And to top it all off, Asahi also bought Fuller’s. 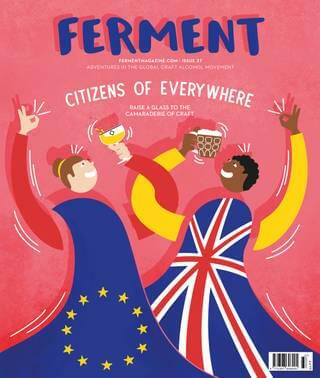 With Camden now up and running with its large Enfield-based production facility, and Beavertown a few months from doing the same, pretty soon an estimated 80% of beer by volume in London will be produced by multinationals. But independence is meaningless if the beer it represents isn’t good enough. So, the remaining 120-or-so small breweries need to ensure their beer is consistently excellent and fault free. As a consumer, this isn’t asking a great deal. In fact, it’s the bare minimum we should expect. Consumers won’t need to look past the beer being produced by multinationals if it’s of a very high standard. If small brewers decide to continue trading off the value of being independent, then it’s on them to ensure their beer is of the highest standard, all the time. If that’s not the case, then what kind of industry can we expect to be home to in a decade or two’s time? One where multinationals remain dominant, and consumer choice dwindles. I don’t hold with the belief that the beer market is overcrowded. Busy, yes, and getting busier still, but calling it overcrowded suggests that opportunity for brewers to grow and become successful no longer exists. I still believe there are plenty of opportunities out there for brewers to stand out, but I don’t see many taking them. Instead, I’ve just spent the past 12 months tasting endless, hazy, yellow beers hopped with Citra and Mosaic. Obviously this is a small fraction of the beers that were actually produced during the last year, but aren’t small, independent craft brewers meant to be cracking eggs, breaking molds, or whatever? Since when is copying one another ‘craft’– what kind of legacy are we building here? When I’ve travelled to other countries, in particular the US, craft beer means something. It represents a certain diversity of thought – an opportunity to stand out. And it’s one I don’t see taken often enough in the UK. And then I come home and I see British brewers continually trying to ape an industry they read about online. That’s how we ended with a hundred pointless Brut IPAs that all tasted the same. That’s not pushing the envelope. That’s not craft. That’s plagiarism done badly. Sure, tell me how the industry is overcrowded, tell me how industry trade bodies want to take your tax breaks away and how multinationals are gunning to shut you down. But do that after you’ve presented me with a product that looks, smells and tastes exceptional. This is why you started making beer, this is why we’re drinking beer. If an industry lives in fear, how can it thrive? I want you, the brewer, to put confidence in all consumers that in one or two decades time, our beer culture is something we will be endlessly proud of. 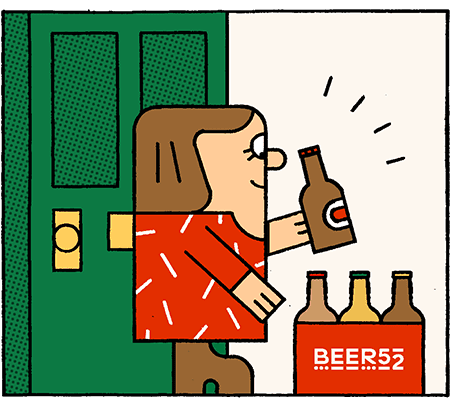 At this point in time, the industry has the opportunity to turn something very special into something long-lasting, and that thing is great beer, in the hands of lots of people. Maybe the fact that I’m fearful about beer’s future is the problem. It could be that I’m not alone in suffering from these paranoid delusions. Maybe all we need is a little positivity (and a lot of hard work) and we’ll be just fine? But with Brexit looming, any modicum of positivity could yet be completely meaningless. A no-deal Brexit would render brewers unable to import raw materials and equipment, while at the same time nullifying many potential export leads. But brewers often find a way. The industry has faced countless waves of adversity throughout its history and yet still survived and flourished. Now with that industry at such a vibrant point in its existence, that adversity is all the greater. And I think we’ll pull through, that within 10 years beer will have changed forever. What we see now as niche or dare I say ‘craft,’ will be seen as normal by the majority of drinkers. I’m still excited by beer, I just want to ensure that what’s emerged within the last decade, is still there for the next generation to enjoy. As well as thinking about making great beer, let’s think about building a legacy.